1. Race and culture matter. My race and culture of origin are integral to my identity and will always be a part of me. Regardless of how much society claims to be colorblind, I will always be characterized and labeled by the color of my skin. Because I do not look like you, it is important for you to show me—through your words and actions—that being different is okay. 2. As a transracial family, our lives will change in ways we could never imagine. Be prepared that the perception of our family will completely change…as will our views of the world. 3. Honoring my race and culture of origin should not just be something that our family does on special occasions. It should be an integral part of our everyday lives as well. A few ways in which you can honor my race and culture on a daily basis are displaying photos or pieces of artwork that reflect my culture and ethnicity in our home, cooking ethnic meals, incorporating words from my native language into our everyday conversations, and reading cultural bedtime stories. Normalizing our efforts to honor my race and culture will make me feel a little less different and will help foster pride in who I am. 4. Prepare yourself for the possibility that your relationships with friends, family members, and others may drastically change due to prejudices you (and they!) never knew they had. You may need to examine who the people are in our lives and whether or not having them around will be more beneficial or detrimental to our family. 5. I should not be used as the bridge into my racial or cultural communities of origin—it is your responsibility to be that bridge for me. As a transracially adoptive parent, it is imperative that you provide opportunities for me to learn about and grow my connections with my racial and cultural communities of origin. 6. Nobody is expecting you to be the perfect transracially adoptive parent, and you absolutely cannot do it alone. It truly takes a village to raise a child who has been adopted transracially. It is important to accept the things you do not know about my race and culture of origin. Rather than seeing that lack of knowledge as a shortcoming or failure, try to view it as an opportunity to learn with me. Use every opportunity possible to involve our entire family when learning about my race and culture of origin. In doing so, you will be forming a stronger bond with me and helping me feel like an important part of our family. 7. Know that there will be times when you will need to step out of your comfort zone to provide me with the opportunities I need to learn about my race and culture. Spending time in places where YOU are the minority should be an integral part of being a transracially adoptive parent. Interacting with and forming relationships with people who look like ME, but don’t look or act the way YOU do, is an absolute must. Remember that my journey takes me outside of my comfort zone on a daily basis. I need for you to be willing to take a walk in my shoes and weather those storms with me. 8. If we do not live in a diverse area, and are financially able to do so, you may want to consider moving to an area that is more ethnically and culturally diverse, or an area that reflects my racial and cultural identity. If we are unable to relocate, or if we have significant ties (work, family, etc.) to the community in which we currently live—it may be necessary to drive an hour or two (or more!) to provide me with the opportunities to interact with and learn from people who look like me. It is imperative that you make every effort possible to provide me with these experiences. 9. Though on vastly differing levels, privilege exists within every racial and cultural community. Transracial adoption can be unique in the sense that it can provide people with differing levels of privilege within their racial and cultural communities the opportunity to occasionally see the world through the eyes of someone with racial and cultural experiences very different than their own. As a result of this privilege, a certain level of racism and prejudice exists in all communities. One important thing to keep in mind is that your level of privilege changes within your racial and cultural community when you are not with me. I, however, do not have that luxury, as your community will always view me as different, and my level of privilege within that community will always be different than yours. 10. Even though it is the PC thing to say, we do not live in a colorblind world—we live in a color aware world. While most people are accepting of different races, there are people who view the world differently and have very ignorant and close-minded beliefs when it comes to race. It is inevitable that I will experience racism at some point in my life, and it is important that I know how to handle those situations. By externalizing racism, you are teaching me that racism isn’t about me—it is about the ignorance of others who do not understand. 11. Remember that I am learning how to tell my story from you. I am learning how to deal with racism and prejudice from you. While you absolutely need to do what you can to protect me from potentially racist situations, it is also important to occasionally answer the questions about my race—if you feel it is safe to do so. These situations can sometimes become opportunities for others to help instill in me a great sense of racial and cultural pride. 12. Know that my racial and/or cultural identity may change at some point in my life. There may be times in which I will reject the racial identity you are working so hard to develop. It is important for you to lay the groundwork for me, but also allow me to explore and develop my racial identity in my own way. There are so many things that are out of my control when it comes to adoption. One thing I can—and should be allowed to claim ownership of—is my racial identity. 13. The greatest amount of scrutiny I will experience will most likely be from members of my own racial and cultural communities. Being rejected by members of my racial and cultural communities is one of the most painful forms of rejection one could ever experience. There is a great likelihood that I will be told that I am not “Black enough” or “Asian enough” at some point in my life. I should not have to prove that I belong or feel that I am less than by members of my racial and cultural communities. There are many losses in adoption, but the loss of my racial and cultural identity is one that can and should be avoided at all costs. 14. It is important to take great care in not losing yourself in the process when honoring my race and culture. While you won’t necessarily be able to teach me about my culture, you can and should teach me about yours. As a multicultural child, I will have so much more to offer the world. 15. Transracial parenting is not easy. There will be struggles and there will be triumphs. Do the best you can with the resources you have available to you, and never lose sight of your goal of raising me with racial and cultural pride. Every effort you make to honor my racial and cultural identity will make a difference in my life, and you will be surprised with how much you will learn about yourself and others along the way! Dave, please give us your list of things you think parents need to know. Glad to see you talking again, especially loved #7 – that’s great advice for everyone, especially white people like me. Thank you! As a transracial adoptive parent, I so appreciate your reflections. There are those who are challenged by discussions of white privilege, but I hope you will not be dissuaded from sharing your important insights. Thank you for your insights. As a person from a multicultural family and adoptive mum of an Asian child I think what you have written is spot on. I know being adopted is complicated. I have no doubt being a transracial adoptee is even more so. Some helpful hints for adoptive parents. Good stuff!!! What a thoughtful post. I tried cooking Chinese food and I’m terrible at it, at least the things my daughter likes. We have made pot stickers from scratch, though…once! But, we have always lived, intentionally, in a diverse community, specifically one that has a high concentration of Chinese. In one place we lived, there was an extremely high portion of Chinese adoptees. I thought, at first, that i wasn’t being a great mother to my child as we don’t eat Chinese regularly and the house isn’t decorated with lots of Chinese art, etc. but, I guess where we live counts for something, too. I adore this, however, my son and his therapist think I am over exposing him to his native culture an he just wants to be American. What is your advice for that? Mind you, we just do Chinese holidays as he wishes and Chinese food is something we always had on a regular basis. So it has been 7 years and no interest in attending classes or socializing with others of his race. It would also be beneficial for extended family to take these cultural awareness programs or classes. Maybe the adopters have an open mind and want to follow through with being aware and pc but how about grandparents, cousins, aunts & uncle’s etc. Also, research the good & bad and be aware of trafficking for adoption that is happening all over the world to meet the high demand of buying a child. I totally do not agree with what was written here. I adopted a daughter from China when she was 8 months old. I was also apart of a large international adoption group that I helped start and did not see any of this. My daughter who is 16 has developed into a awesome person that does not use her Chinese heritage to have to make her who she is. Yes she knows she is Chinese but that is just a small part of her. In the beginning I had her involved in a number of Chinese activitities but as she grew up that was no longer important to her and she choose not to attend or be apart of those activities or programs. Regarding racism this has not been a problem not saying that it won’t maybe but it is not something we dwell on or address -she is accepted for who she is not for what race she is. I hope that no one reads this this article and has it make a change in a decision to adopt for that would be a mistake. Very misleading article. “Regarding racism this has not been a problem” – As if you live in your daughter’s shoes every day. Unless you live in an extremely sheltered environment, I think it is nearly impossible not to encounter racism/microagressions in American society as a young, Chinese women. Please educate yourself about this–and being told we are the “model minority” IS ACTUALLY A FORM OF RACISM. Just because she hasn’t told you about instances in which she has encountered racism, does NOT mean that it doesn’t happen. I do not agree with this that you have stated. 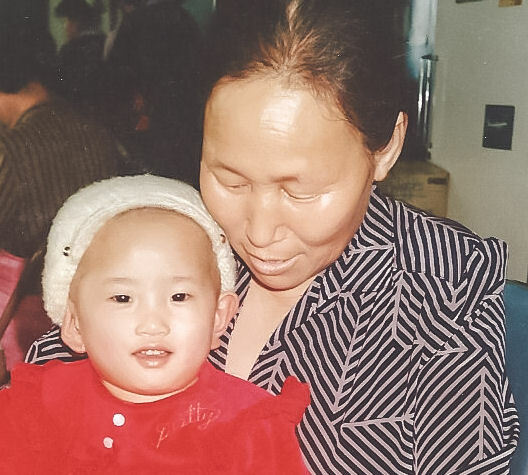 I adopted my daughter from China when she was 8 months old and she is 17 now. There was only one time that we were in Walmart when she was maybe 13 and a lady said to someone, oh there is another Asian. We just ignored the comment. I have been a part of a large international adoption group and this subject has not come up. My daughter and I have gotten all wonderful comments from friends, acquaintances, and strangers. I am not saying that negative comments can be made but to claim that this is a problem I feel is big time incorrect.